If this Party Spirit has so ill an Effect on our Morals, it has likewise a very great one upon our Judgments. We often hear a poor insipid Paper or Pamphlet cryed up, and sometimes a noble Piece depretiated by those who are of a different Principle from the Author. One who is actuated by this Spirit is almost under an Incapacity of discerning either real Blemishes or Beauties. A Man of Merit in a different Principle, is like an Object seen in two different Mediums, that appears crooked or broken, however streight and entire it may be in it self. For this Reason there is scarce a Person of any Figure in England who does not go by two contrary Characters, as opposite to one another as Light and Darkness. Knowledge and Learning suffer in a particular manner from this strange Prejudice, which at present prevails amongst all Ranks and Degrees in the British Nation. An "abusive, scurrilous style passes for satire." If that doesn't describe 21st century America, what does? Joseph Addison's full essay can be read online here. It is only a few pages long, but every page has a passage or two whose parallels with modern life pop to your attention. Reading it is worth a few minutes of your time. Joseph Addison, Cato: A Tragedy and Selected Essays, ed. Christine Dunn Henderson and Mark E. Yellin (Indianapolis: Liberty Fund, 2004), 123. Samuel Johnson, "Life of Addison, 1672-1719" in Harvard Classics, vol 27: English Essays, Sidney to Macaulay (New York: Bartlby.com, 2001), or. published in Johnson's Life of the Poets (1783). The problem these researchers repeatedly ran into was that their fellow political scientists were not familiar enough with East Asian history to follow their arguments and there were no good primers on the topic to refer them to. So theses scholars ended up writing the historical narratives others would need to read before they could assess their theoretical arguments. Thus Victoria Tinbor Hui's chapter on the Warring States (453-221 BC) in War and State Formation in Ancient China and Early Modern Europe is one of the best narrative accounts of Warring States great power politics; Wang Yuan-kang's Harmony and War: Confucian Culture and Chinese Power Politics contains one of the only accounts of Song Dynasty (old style: Sung, 960-1279 AD) foreign relations and one of the most fluid narratives of the Ming Dynasty's (1368-1644) adventures abroad; and David Kang's East Asia Before the West: Five Centuries of Trade and Tribute has the most coherent discussion of the Chinese "tributary system" written in the last five decades. Historians have lauded these books for the amount of historical research that was poured into them , and I second their appraisal. As a field IR should take Asia more seriously and it should engage with historical sources more thoroughly than is common practice. However, I cannot help but lament the circumstances that pushed IR scholars to adopt these methods. Hopefully historians feel some shame over the sorry state of the field and how difficult it is for outsiders to approach their research. One example will suffice to prove the point. I mentioned that Wang Yuan-kai's War and Harmony has one of the few complete accounts of the Song Dynasty's international relations. As far as scholarship goes, the amount of material devoted to this topic is middle-of-the-road: there are some periods where scholarship is more plentiful--say, the Late Ming, or the Qing (Ch'ing, 1644-1912), and there are some other periods where the scholarship is much more scarce--say, anything about the Tang (T'ang, 610-907 AD) or Han (206 BC-220 AD) dynasties. It is an interesting period to work with, for it is one of the few times in Chinese history when China was faced with external enemies whose military power was undeniably stronger than her own. It was the time of some of the most famous military figures and most horrible military disasters in Chinese history. It also saw some of the most historically influential debates about how to manage civil-military relations and the relationship between economic prosperity and military power. The student who would like to know more about the military history of this era might start with Dieter Kuhn's The Age of Confucian Rule: The Song Transformation of China, Frederick Mote's Imperial China, 900-1800, or other generalist studies that try to integrate war and foreign relations with the economic, art, intellectual, social, and environmental histories of the era. Most of these books (Mote's excepted) treat each of these subjects topically, and it is very difficult to grasp the flow of events--something necessary for those hoping to find connections between strategic theory and strategic practice--by reading them. To find a truly detailed and comprehensive narrative we must turn to the Cambridge History of China, the standard reference for Chinese political history from the ancient past to the modern age. The first thing one notices about this series is that each volume is incredibly expensive (+$170 a pop); the second is that the series is not finished yet. Volume V (published in two parts) concerns Song China. Part one is devoted to a detailed political narrative, the second to topical review essays. If the student has the money to buy the first part (or is lucky enough to have library access to it) and the fortitude to slog through its 1,100 pages, he will have acquired the background knowledge necessary to understand the political context behind Song military strategy. The second part has a fairly long essay devoted to the dynasty's military history, but as it was only published two months ago (and several years after Wang wrote War and Harmony), I have not had the chance to read it and must abstain from judgement. Those who would like smaller (or cheaper) summaries of China's wars are in luck only if they can accept very small summaries. This is the type of thing you will find in Peter Lorge's War, Politics and Society in Early Modern China, 900-1795 , which by dint of the large time scale it covers can only offer a very condensed version of any one dynasty's struggles. Books like China Among Equals: The Middle Kingdom and its Neighbors, 10th-14th Centuries or Crisis and Prosperity in Sung China seem like they might provide the solution but in truth they are but a collection of individual essays on much narrower topics (e.g. "Barbarians or Northerners: Southern Sung Relations With the Khitans," or "Sung Embassies: Some General Observations"). These essays are interesting and valuable, but most are so narrow in focus that those who do not already have a command of the literature have trouble knowing what this or that particular piece adds to the larger puzzle. The great majority of articles and book chapters on Song foreign policy or military history face one of these two problems: either they cover too much material in too condensed a form to provide proper case studies, or they cover topics so narrow that only those who specialize in the period can fully appreciate the importance of their arguments. The only book I can think of that hits the sweet middle between these two extremes is David C. Wright's From War to Diplomatic Parity in Eleventh-Century China: Sung's Foreign Relations with Kitan Liao , a 290 page history of Song-Liao relations, including the many wars the two powers fought in the Liao dynasty's early days. Sadly, it also costs several hundred dollars, and lacking the prestige of the Cambridge History of China series, is far less likely to be in found in the average university library. The intrepid explorer of Song military history is thus relegated to sewing together bits and pieces of others works together until he has built up a coherent narrative in his head. The books he might use in this quest are quite varied: obscure titles like John Chaffee's Branches of Heaven A History of the Imperial Clan of Sung China have a surprising amount of military narrative inside them; essay collections on Chinese military history (Warfare in Chinese History, Chinese Ways in Warfare, Debating War in Chinese History, Warfare in Inner Asian History, etc.) have many interesting descriptions and accounts of individual battles, campaigns, or foreign policy debates; a section of Patricia Ebray's biography of Song Huizong talks about military things, for being defeated by the Jurchen is one of the things Huizong did. The only study of Song military history as a whole that I have been able to find is an unpublished PhD dissertation from 1997. Finding extra information past this means digging through journal articles, hunting down books no longer in print, and piecing together side details and foot-notes found in books on Song economics, society or intellectual history, or on their traditional enemies and rivals, the Khitans, Jurchens, and Mongols. It is possible I missed a title or two in this review--I freely admit that the Song dynasty is not my area of special expertise. But that is more or less the point. Finding and reading things about Chinese military strategy is what I do. We should not expect your average strategic studies or IR theorist with no background in Sinology to wade into this morass and pull out more than I have. If I have not been able to find it, odds of them finding it are even smaller. It is worth it to stop and remember the type of questions strategic theorists might be trying to find answers to if they turned their eye to a period of Chinese history like the Song. Some might be quite China-specific: if the Seven Military Classics advocate a consistent set of strategic principles (as some scholars argue they do) , is there evidence these principles guided the actual decisions made by Song dynasty statesmen or generals? Does China's geography mean that all Chinese leaders inevitably share a specific set of strategic concerns and priorities (as other scholars have argued)? Some might be more general: are there universal patterns in the way states respond to or perceive rapid shifts in power (ala the Humiliation of Jingkang)? Is there a relationship between the autonomy military commanders are allowed and a state's ability to strike upon a successful strategy? How do states move from indecisive war to sustainable peace? A particular problem is a lack of what I call 'mid range' studies of Chinese military, diplomatic, and political history. There are a host of studies with a small and narrow focus, but as stated earlier, these episodes can be difficult to use in isolation. In contrast, there is also a large amount of research on fairly large topics and timescales--for example, the relationship between Chinese military strength and nomadic state formation on the Inner Asian steppe across Chinese history. This is another line of research that began with controversies outside of Sinology proper. First debated by anthropologists and archeologists who studied nomadic pastoralists, the central question in dispute is how a society with resources as diffuse and social hierarchies as unstable as those seen in nomadic societies could ever create a power structure strong enough to create lasting empires and confederations (like the Mongol Empire). The controversy quickly spilled into Chinese history, as it was on the Chinese frontier the greatest of these empires were always born, and some have hypothesized that it was interference from the Chinese on the Inner Asian steppe that created them. Whether or not this hypothesis is true is a question hotly debated. To address it, entire books have since been written describing the patterns and logic of Sino-nomadic relations, many of which cover the entire scope of Chinese history. This type of research leads to sweeping conclusions that are usually quite valuable, but also usually quite difficult to test, for many of the mid range studies describing how individual dynasties dealt with the nomads have yet to be written. No war has captured the imagination of the Eastern mind like that waged between the "Three Kingdoms" that rose from the ashes of the Han Dynasty's collapse. The travails and victories of Wei, Shu, and Wu have been told again and again throughout Chinese, Japanese, and Korean history. Their story has been told through many mediums. It first emerged in medieval shadow plays and Song dynasty operas, by the 15th century it was adapted into a historical novel that holds a similar place in the Chinese literary canon that plays like Julius Caesar and Richard III have in the West, while in the 21st century it has inspired a multi-billion dollar video game franchise, twenty different Japanese manga, two of the most ambitious Chinese television dramas to air on CCTV,and the most expensive Asian film (and the most lucrative) ever produced. The words, names, and strategies of these war's most famous figures have become household idioms. I have yet to meet a single Chinese person who cannot relate--at length!--stories about these legendary generals and statesmen. But this is too little and it is being published too slowly. Horrid gaps in the literature remain. Advances in military history have not been met with equal advances in political history; I have yet to see a Society of Chinese Political History or a Journal of Politics in Chinese History organized to fill lacunae in this sub-field. The dearth of narrative political histories and political biographies is notable and frustrating. 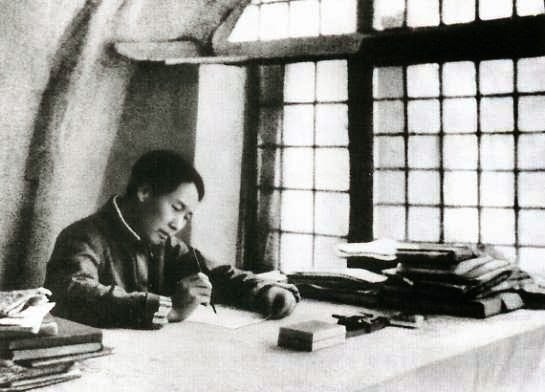 As Wang Wensheng laconically observes in his own literature review of the scholarship late 18th century China: "most historians and social scientists tend to focus more on the explanatory power of structures while remaining less informed about the significance of events." Studies of structure provide needed context, but without a narrative account of political events Chinese history will remain inaccessible to most outside of the field, and of little use to strategic history. I trust I do not need to start spitting off Clausewitz to convince readers of the importance of this topic. A range of very foolish misconceptions about Chinese leadership and decision making will persist until this topic is taken more serious by established historians. This point is worth restating. Both the security studies scholars and the security studies hacks have arrived on the scene, and circumstance demands that they write for interested audiences whatever they can find about the Chinese strategic tradition. They will do this irregardless of the quality or quantity of the scholarship available to them. Historians and Sinologists bear a great deal of responsibility for the errors these writers present as fact. This is where the state of the literature is now. What should be done to move the state of the field forward? The first, and probably the most important thing is for Sinologists and scholars studying traditional East Asia to realize that there is a much larger audience for their expertise than they have previously considered. A common complaint in East Asian Area studies circles is that their part of the world is given a short shrift in textbooks and seemingly has no popular appeal. To a large extent is no longer true. The rise of comparative and global history and the prominence of the 'great divergence' debate has turned a great amount scholarly of attention to China's historical development. The trends in political science and strategic studies discussed in earlier sections of this post have put China at the center of those fields' research agenda, and contemporary world events mean that China is now a more popular topic among the educated 'general readers' of America than it has ever been. The interest is there. It is the job of the East Asianists to respond to it. I am not convinced they have done a very good job of it. Sinology remains a discipline of letters and monographs written by specialists with years of expertise to be read by other specialists with years of expertise. Plenty of useful knowledge--say narrative accounts of political history--is assumed. Such assumption must end if the discipline is ever going to open up to those outside its narrow confines. This is not to say that every Sinologist must pull a John Delury, tracking down a prominent journalist and co-writing a mass market paperback with him (though his example is not a bad one to follow, for those so inspired). All I am asking is that scholars with substantial knowledge and experience be cognizant of the interest historians, social scientists, policy makers, and the general public have shown in the topics discussed above and shape their writing and research accordingly. If those writing about classical Greece or 19th century America can do it, so can specialists in East Asian history. And if they don't do it--well, the demand is there, so someone will. Chances are high that those someones will do a rather shoddy job. I gave the Sinologists a hard time above, but in all honesty they face some heavy career incentives to write and research for an exclusive audience on topics far removed from war and power. One of the easiest ways to change this is to provide researchers interested in strategic topics a stimulating environment where students and colleagues are are also interested in this line of research, or even better, the security of an established career path pursuing it. A related piece of advice applies equally to universities and grant providing institutions: create strong incentives to translate secondary materials related to the Chinese strategic tradition. Both Chinese and Japanese scholars have written libraries of material on Chinese strategic theory and military history. Lacuna that exist in English have long been filled in these languages, sometimes with hundreds of volumes. Translation of this material has been slow. This is partly because translations do not accrue quickly on CVs (you cannot publish individual chapters in journals or present them at conferences), and partly because translations of secondary literature often have less prestige associated with them than original contributions to the day's most pressing debates. I doubt this situation will change unless the incentive structure that has produced it changes first. Departments chairs should bestow special favor on those who have taken time to translate secondary works, and concerned institutions should create grants devoted solely to the translation of secondary material on Chinese (or perhaps East and Southeast Asian) strategic thought or military history. Conduct in-depth studies of ancient Chinese texts from a strategic perspective. Michael Handel's study of the Sunzi showed that it was possible to incisively analyze ancient Chinese military works without fluency in classical Chinese, and there are dozens of other works from this era that cry out for analysis of equal excellence. Those who do read classical Chinese might focus their efforts on identifying common themes and concepts strung across the corpus, or detailing the major debates that divided it. Translate the works and memorials of the famous Chinese statesmen and strategists of mid and late imperial China. Unlike the ancient philosophers, these thinkers did not speculate on metaphysics or discourses on ethics, often priding themselves on their attachment to practical affairs. There is little need to convince scholars to prioritizes the strategic aspects of their thought--it just needs to be translated. I would start with Wei Yuan's 1826 anthology The Collected Essays on Statecraft of the Great Qing. Determine which thinkers, episodes, and strategic concepts from China's past are most commonly cited today. This could be done through analyzing Xi Jinping's speeches, PLA manuals, book publisher sales records, or through other methods more innovative and fantastic than springs to my mind. Research here might prove useful for prioritizing research elsewhere (or bringing entirely new research questions to scholars' attention). Write narrative military and political histories. The wars listed above would be a good place to start. So would the biographies of figures such as Tang Taizong (626-649), the Yongle Emperor (1360-1424), Li Hongzhang (1823-1901), or other political and military leaders of their type. There are logical next steps that would follow--for example, a book titled Makers of East Asian Strategy: From Sunzi to the Industrial Age, or something of that sort to match the famous essay collection Makers of Modern Strategy: From Machiavelli to the Nuclear Age--but it is not necessary to look that far ahead when the ground-work has yet to be broken. Readers may notice a prominent topic missing from this list--indeed, a theme thusfar absent from my review. That is whether or nor not there is a "Chinese Way of War." A significant amount of research has been driven by this question. This survey should make clear why I distrust almost all of it. Whether or not there is a Chinese Way of War is a question we simply cannot yet answer. Most who try to do so reference only a sliver of the vast and often conflicting corpus of Chinese strategic thought, and prove it with case studies from an equally small sliver of an even vaster history. Answering that question is truly an enormous undertaking. It would require evaluating thousands of battles, hundreds of texts, and incorporating research in fields--like cognition and cultural psychology--that have barely breached existing strategic theory. We simply do not have the scholarship we need to even begin this project. (I can think of less than ten Anglophone scholars I would even trust to have an opinion on the matter--and most are too wise to write a book about it). My estimate is that if the current rate of scholarly activity holds steady in the coming years, we will not be able to find a conclusive answer to the question of whether or not there is a Chinese Way of War for another three decades. Attempts to do so before hand are at best misguided, at worst irresponsible. This is a rather dour note to end this essay on, but an honest one. It is an unfortunate fact that we are unprepared to answer many of the questions most relevant to contemporary affairs or most interesting to scholars from outside the realm of Sinology. The basic building blocks that will be used to construct convincing models of Chinese politics, strategy, and diplomacy have yet to be uncovered. Commentators and essayists will continue to misrepresent and misunderstand China's past, and Sinologists will keep complaining about it. But it is hard to judge these writers too harshly. They do the best that can be expected with the material they are given. If Sinologists wish to hold those who opine on the role diplomacy, war, and statecraft has played in Chinese history to a higher standard then they must be prepared to provide the scholarship that will make such a standard possible. Meditations on Maoism: Ye Fu's "Hard Road Home"
 The upswing of this elitist inclination with intellectual history is that Sinology was in many ways shielded from the ravages of "post-modern" history, and the field was able to accommodate social and cultural history with minimal influence from critical theory and other deleterious methods or approaches of the "cultural turn." The European Journal of International Relations devoted its entire September 2013 issue to what one participant called "the poverty of grand theory." A review of its contents will provide readers with the full list of complaints about the role of grand theory paradigms in modern IR scholarship. Joanna Waley Cohen, "War and State Formation in Ancient China and Early Modern Europe by Victoria Tinbor Hui," Journal of Interdisciplinary History 37, no 3 (2007), 507-508; Alan T. Wood, "War and State Formation in Ancient China and Early Modern Europe by Victoria Tinbor Hui," American Historical Review 111, no. 4 (2005); David Graff, "War and State Formation in Ancient China and Early Modern Europe by Victoria Tinbor Hui," Bulletin of the School of Oriental and African Studies, University of London 69, no. 3 (2006), 491-492. "Wang Yuan-kai’s Harmony and War: Confucian Culture and Chinese Power Politics", H-Diplo/ISSF Roundtable Reviews 4, no. 3 (2012), " roundtable discussion, participants: Victoria Hui-Tinbor, Kirk Larsen, Peter Perdue, Morris Rassabi, John Wills, Wang Yuan-kai. Valerie Hansen, "International Relations Discovers the Chinese Tribute System – to All of Our Benefit," H-Net Reviews (September 2011); Robert Hellyer, "East Asia Before the West: Five Centuries of Trade and Tribute by David Kang," Journal of the Economic and Social History of the Orient 55, No. 1 (2012), 197-199. Praise for these books has not been universal, however, and what criticism of Kang's book exists has been particularly fierce. For a recent example, see Peter Perdue, "The Tenacious Tributary System," Journal of Contemporary China (published online as a preprint, 2015). Tsang Shui-lung, "War and peace in northern Sung China: Violence and strategy in flux, 960-1104," PhD Dissertation, University of Arizona (1997). I should note that there are other dissertations on the Song Military published, but they focus on the state-soldier relations, not military campaigning or strategy. Alastair Ian Johnson, Cultural Realism: Strategic Culture and Grand Strategy in Chinese History (Princeton: Princeton University Press, 1998). Michael Swaine and Ashley Tellis, Interpreting China's Grand Strategy: Past, Present, and Future (Santa Monica, CA: RAND Corp, 2000). The objection might be raised that this is simply how historical research is done. To an extent this is correct. But with the military and political histories of other regions this is so much easier. I have not had to open a single journal article or get a hold of book that costed more than $50 in order to answer basic questions about Rome's military history and imperial policies, but it would be laughable to try and attempt the same feat with military and diplomatic history of the Warring States or Han Dynasty. Some of the most important entries in this debate include Antoly Khazanov, Nomads and the Outside World (Cambridge University Press, 1984; 2nd ed. University of Wisconsin Press, 1994); Thomas Barfield, The Perilous Frontier: Nomadic Empires and China, 221 BC-1757 AD (Cambridge, MA: Blackwell Publishers, 1989); Jagchid Sechen, and V. J. Symons, War and Peace along the Great Wall (Indianapolis: Indiana University Press, 1989); Nicloa Di Cosmo,, "Ancient Inner Asian Nomads: Their Economic Basis and Its Significance in Chinese History," The Journal of Asian Studies, 53, no. 4 (Nov. 1994), 1092-1126, and "State Formation and Periodization in Inner Asian History," Journal of World History 10, no. 1 (Spring, 1999), 1-40; Philip Salzman, Pastoralists: Equality, Hierarchy, And The State (Boulder, Co: Westview Press, 2004); David Sneath, The Headless State: Aristocratic Orders, Kinship Society, and Misrepresentations of Nomadic Inner Asia (New York: Columbia University, 2008); Nikolay Kradin, "Heterarchy and Heirarchy Among Ancient Mongolian Nomads," Social Evolution and History 10, no. 17 (March 2011), 187-214; J. Daniel Rogers, "Inner Asian States and Empires: Theories and Synthesis," Journal of Archaeological Research 20, no. 3 (September 2012), 205-256; William Honeychurch, Inner Asia and the Spatial Politics of Empire: Archaeology, Mobility, and Culture Contact (Springer 2014), along with numerous essays and books on individual nomadic peoples and empires. Readers may wish to compare this list with the list of "40 important battles of Chinese history" composed by Endymion Wilkininson, Chinese History: A New Manual, 3rd ed (Cambridge, MA: Harvard University Press, 2012), 315-317. Many stories and battles from the Spring and Autumn (771-453 BC) and Warring States (453-211 BC) periods are also cited regularly, but these are not presented in the original sources or in their later representations as full campaigns with operations that can be parsed and analyzed, but as individual episodes teaching some strategic or moral principle. Edward Smith vigorously disputes this sentiment in his study of Maoist strategy, noting, "Those authors that examine the role of China in the war, specifically the PRC, Beijing, and Mao Zedong, approach the topic from a diplomatic and political history and pay little attention to issues of the CPVF. These topics included the implementation of revolutionary guerrilla warfare in the conflict, or why the CPVF, and by extension the PRC, was able to successfully force the US-UN." Smith, "From Books on the Shelves to Boots on the Ground: Mao Zedong's Revolutionary Guerrilla Strategy in Context," MA Thesis, University of Central Oklahoma (2013), 6. 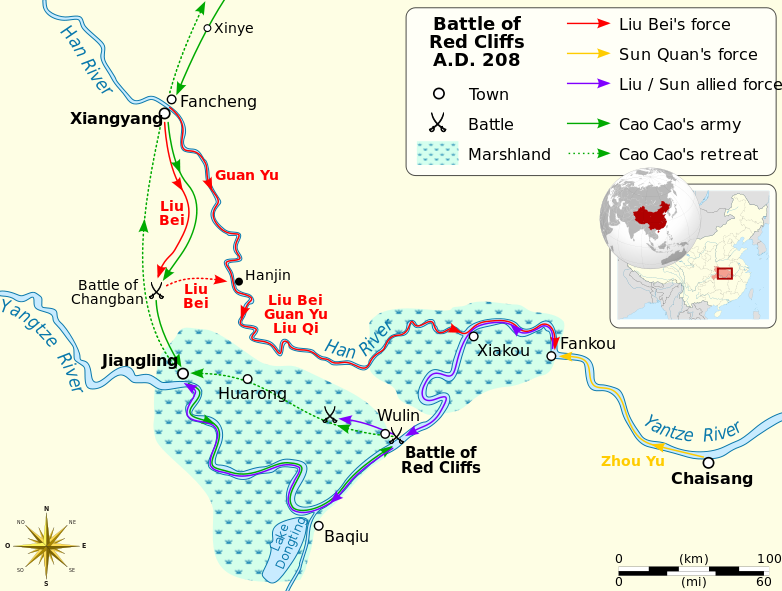 On English sources concerning the Han-Chu war, see note 7 of the first post in this series. Luckily the primary source upon which our knowledge of this war is mostly based, Sima Qian's Records of the Grand Historian, has been translated into English and thus can be studied by anyone with the discipline to string Sima Qian's many biographies into one coherent account. 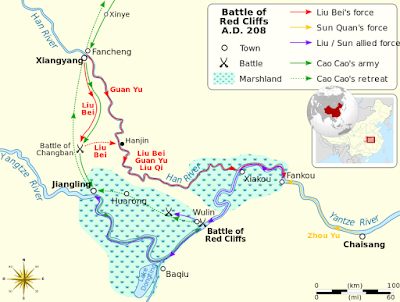 The An Lushan War is discussed in most general histories of the Tang Dynasty, as it is arguably the most important event of the era and one of the most destructive wars in human history. Chapter length summaries are found in David Graff's Medieval Chinese Warfare 300-900 (New York: Routledge, 2001), Edwin Pulleybank's Essays on Tang and Pre-Tang China (Hampshire, UK: Ashgate, 2001), and of course The Cambridge History of China, Volume III: Sui and Tang China. Pulleybank wrote an interesting volume on the run-up to the war, The Background of the Rebellion of An Lu-shan (London: Oxford University Press, 1955), but stops short of providing an actual history of the war, promising to cover it in a second volume which he sadly never got around to writing. T. Greer, "Troubles With the Chinese Military Tradition," The Scholar's Stage (23 March 2013). Kenneth Swope, "Review: Military Culture in Imperial China," De re Militari (April 2009). A review of monographs published in the last two years suggests the general trend: Wang Zhenping, Tang China in Multi-Polar Asia: A History of Diplomacy and War (Honolulu: University of Hawaii Press, 2013); Jun-pang Lo, China As a Sea Power, 1127-1368 (NUS Press, 2013); Kenneth Swope, The Military Collapse of China's Ming Dynasty, 1618-44 (New York: Routledge 2013); Wensheng Wang, White Lotus Rebels and South China Pirates: Crisis and Reform in the Mid Qing (Honolulu: University of Hawaii Press, 2014); Kal Filipak, Civil-Military Relations in Chinese History (New York: Routledge 2014). I own Wensheng Wang's book, but have thusfar not been able to get a copy of the others. Wang, White Lotus Rebels, 10. I collected this data by manually clicking on the faculty biographies of every single professor and fellow listed on the department webpages linked to in the paragraph. If these pages are not updated then my assessment of each institute may be wrong. (Also, clicking through 300 faculty web pages is quite time consuming and I don't get paid to do this). If I accidentally missed a key professor or fellow at your department, leave a note below and I will edit what I've written. Howard L. Boorman and Scott A. Boorman, "Strategy and National Psychology in China," The Annals of the Academy of Political and Social Sciences (1967), 143-155; John K. Fairbank, "Introduction," in Frank A. Kierman, Jr., and John K. Fairbank, eds., Chinese Ways in Warfare (Cambridge: Harvard University Press, 1974); Edward S. Boylan, "The Chinese Cultural Style of Warfare," Comparative Strategy 3, No. 4 (1982), 341-366; Jonathan R. Adelman and Chih-yu Shih, Symbolic War: The Chinese Use of Force, 1840-1980 (Taipei: Institute for International Relations, 1993); TJ Christensen, "Chinese Realpolitik: Reading the Chinese World View," Foreign Affairs 75, No. 4, (September/October 1997), 37-53; Alastair Ian Johnson, Cultural Realism: Strategic Culture and Grand Strategy in Chinese History (Princeton: Princeton University Press, 1998); Shu Guang Zhang, "China: Traditional and Revolutionary Heritage" in Ken Booth and Russell Trood, eds., Strategic Cultures in the Asia-Pacific Region (Houndsmills, Hampshire: Macmillan Press, 1999); Andrew Scobell, “Soldiers, Statesmen, Strategic Culture and China’s 1950 Intervention in Korea,” Journal of Contemporary China 8, no 1 (1999), 477-497; China and Strategic Culture (Carlisle, PA: Strategic Studies Institute, 2002); "Is There a Chinese Way of War? ", Parameters 35, no. 1 (2005), 118-122; Mark Burles and Abraham N. Shulsky, Patterns in China's Use of Force: Evidence from History and Doctrinal Writings (Santa Monica: RAND Corporation, 2000). Tiejun Zhang, “Chinese Strategic Culture: Traditional and Present Features", Comparative Strategy 21, no 2 (2002), 73-90; Kenneth Johnson, China's Strategic Culture: A Perspective For the United States (Carlisle, PA: Strategic Studies Institute, 2006); William Mott, Shih vs Li: The Philosophy of Chinese Military Culture (New York: Palgrave Macmallan, 2006); Thomas Mahnken, Secrecy and Stratagem: Understanding Chinese Strategic Culture (Syndney: Lowy Institute For International Policy, 2011); Harold M. Tanner, "Big Army Groups, Standardization, and Assaulting Fortified Positions: Chinese “Ways of War” and the Transition from Guerrilla to Conventional War in China’s Northeast, 1945-1948" Journal of Chinese Military History 1, iss 2 (2012), 105-138; Michael Pillsbury, "The Sixteen Fears: China's Strategic Psychology," Survival: Global Politics and Strategy 54, no. 5 (2012), 149-182; Andrew Wilson, "The Chinese Way of War," in Strategy in Asia: The Past, Present, and Future (Stanford: Stanford Security Center, 2014), 108-130.